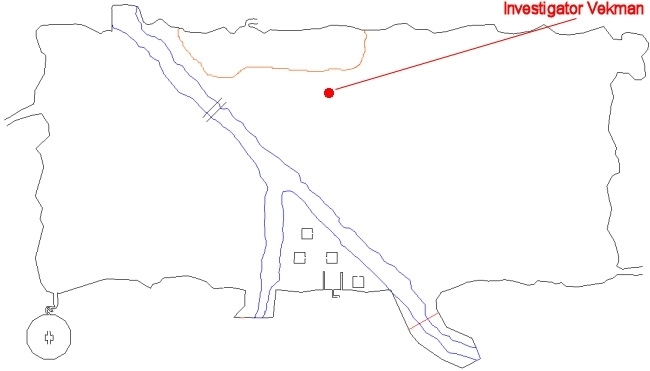 Investigator Vekman (click for map image) is located south of the Plane of Knowledge stone. This page last modified 2014-06-03 01:17:36. 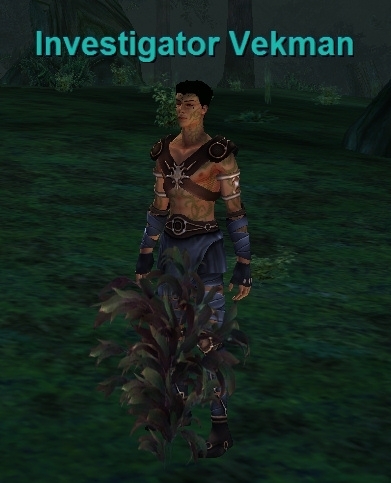 Went to dream feerot and hailed vevman but he just stands there. I say the word help and have him targeted. I am not on invis as I can con mobs in the distance and they scowl as they can see me. I con /indifferent to vekman. Can someone tell me what I’m missing here? Is your character a heroic character? If so, they should already have the quest. Look through your quest journal.